When her grandmother passes away, Zoe Collins goes back to Copper Creek for the services with her daughter and boyfriend. 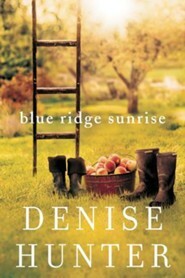 She finds out she inherits the family peach orchard in the Blue Ridge Mountains. 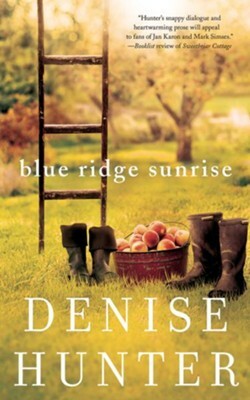 Now she must decide if she should continue pursuing a life of fame with her music career or stay and settle down to run the orchard. The confusion really sets in when her first love comes back into her life. Unabridged audio CD; approximately 7 hours 29 minutes; 6 CDs; performed by Julie Lyles Carr. As life-changing decisions and a history with Cruz hang over Zoe’s head, tensions rise between her and Kyle. Even as she comes to terms with the shifting relationships in her life, Zoe still isn’t sure if she can remain in Copper Creek with her new responsibilities...and her first love. 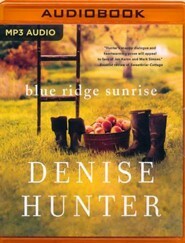 I'm the author/artist and I want to review Blue Ridge Sunrise - unabridged edition on CD.